Foynes is a two storey double fronted house with a two storey verandah to the main facade. The construction is rendered brick with a roof originally of slate but now corrugated iron. The verandah floor is paved with black and white marble tiles. 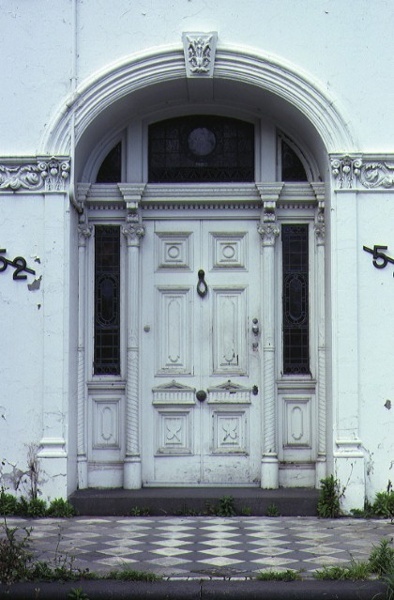 The front door has shamrock motifs in the lower two panels. The hall is paved with encaustic tiles. An intermediate arch is supported on elaborate pilasters which match the columns and arch across the stairwell. Elaborate plasterwork on the ground floor comprises friezes, cornices, ceiling strips and roses. On one side of the hall is the drawing room, almost a double cube in proportions. On the other side, the sitting room opens through large folding doors into the dining room. These spaces are repeated on the first floor. A flashed glass door, bevel-cut, leads from the hall through a tiled vestibule into the service wing. The rooms on the ground floor of the service wing have been altered in plan. Back stairs lead from the kitchen to the first floor and the rear. One wall has been removed to combine two servants' rooms. Stables, built at the same time as the house, are attached to the kitchen. Foynes is of architectural and social significance to the State of Victoria. Foynes, built to a design by the architects Blackwell and Dalton, is architecturally significant as an important example of boom period terrace housing. 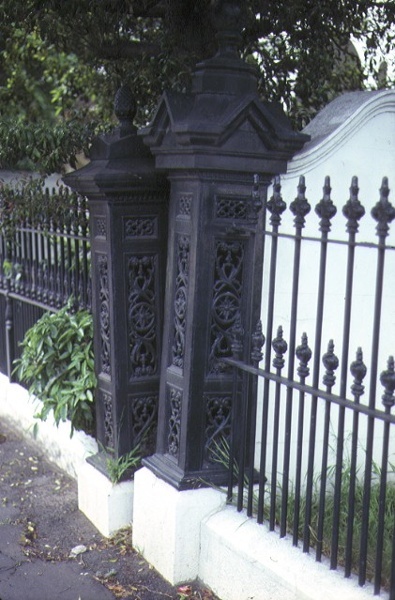 It is one of the grandest in scale and detail reflecting its association with the height of the 1880s boom. Particularly notable is the quality of the plasterwork friezes, cornices, ceiling strips and roses on the ground floor. The joinery on the ground floor is also notable. 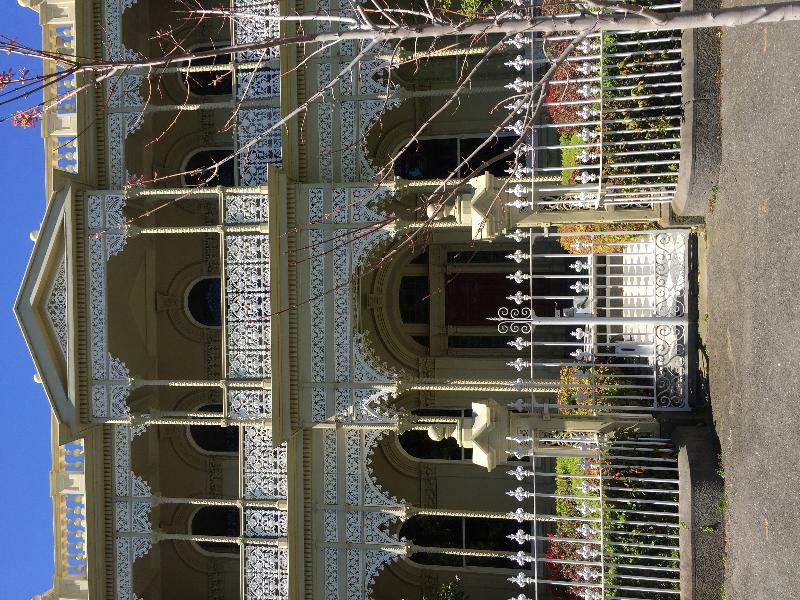 Historic Building No.499, 'Foynes', 52 Powlett Street, East Melbourne. 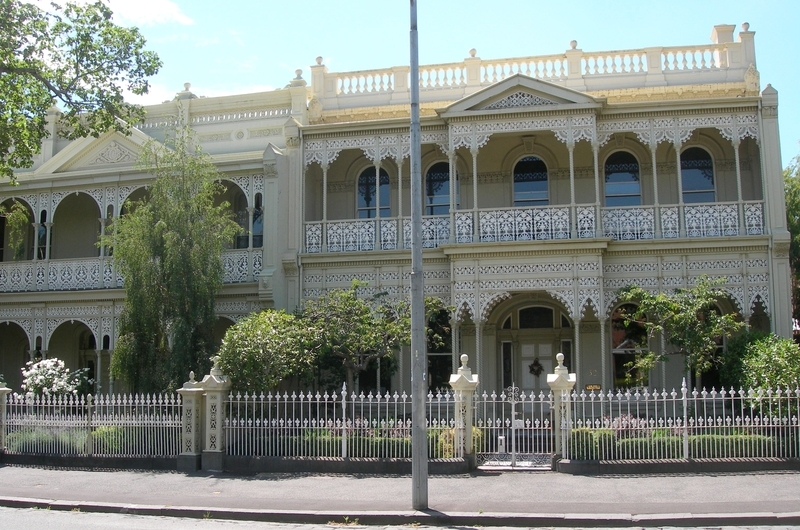 There was little development of East Melbourne before 1852 as the area remained reserved by the government long after Fitzroy, Collingwood and Richmond were made available for development. In 1848 Bishop Perry chose the area for his Anglican Bishop's Palace overlooking the Fitzroy Gardens. The first public land sales in East Melbourne took place in June 1852, when 20 allotments were sold off. Between 1852 and 1870 a total of 299 crown allotments were sold off. Development took off in the late 1850s after the gold rush subsided. Many terraces were built for rental and lodging. The residential area known as Yarra Park was bounded by Wellington Parade, Vale Street and Punt Road. It was the site of the original police barracks but was subdivided in the 1880s. The building is called Foynes after a village on the west coast of Ireland where the first owner, Patrick Sheahan, was born. He owned the land of Nos 52 and 54 as one title. In 1888 he subdivided and sold the northern block to his brother-in-law James Wood, who, like Sheahan, was a dairy produce merchant. Wood engaged Messrs Blackwell and Dalton as architects and builders and work commenced on Eastcourt on Wood's land on 6 April, 1889. Five months later Patrick Sheahan engaged the same architects to build him a house which was bigger and better in almost every way. The families were no longer on speaking terms. Patrick Sheahan, after losing his money and his spirit in the Depression of 1891, died in 1894 not long after he moved into Foynes. 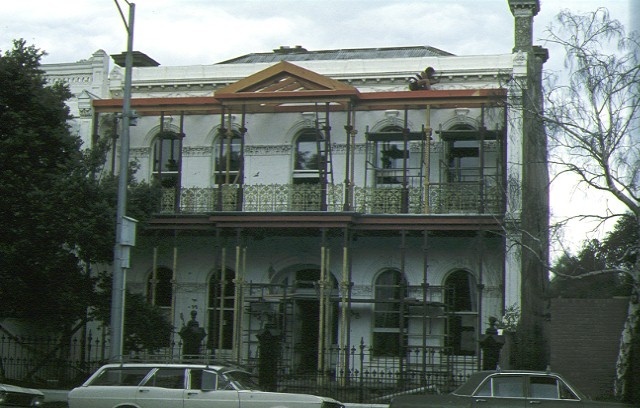 In 1941 the building became the San Remo Guest House and today is a private residence.